Lace up for winter in these Lugz Empire Hi Fur boots. This style features a water resistant faux nubuck upper with faux fur trim and lining to keep your feet warm. 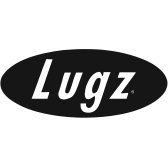 The Lugz Empire Hi Fur boots have a Flexastride memory foam insole to keep you comfortable and a slip resistant rubber outsole to prevent slippage.